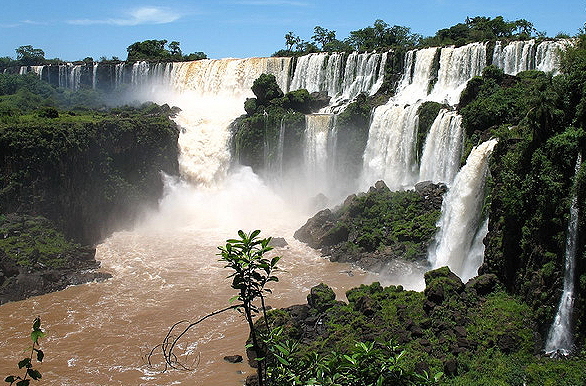 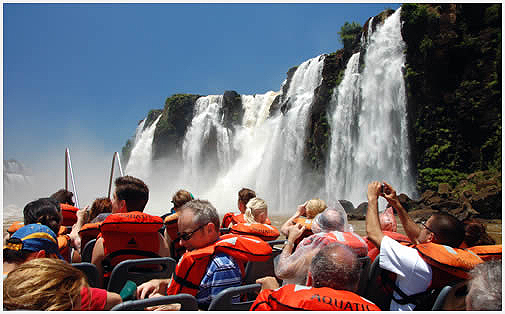 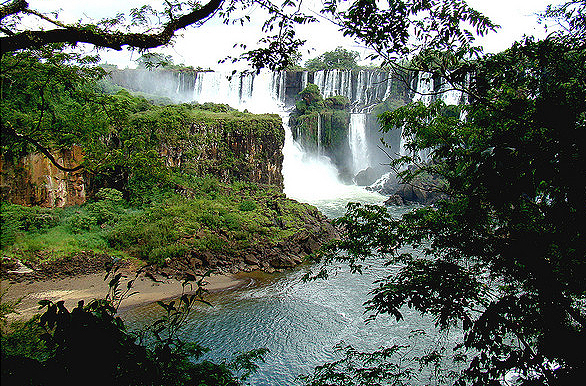 An unforgetable experience and a spectacle of nature, the falls are considered a wonder of the world. 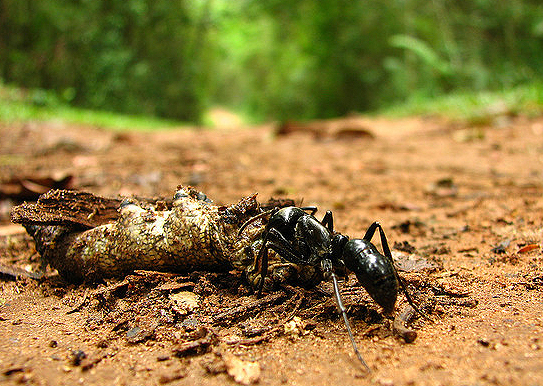 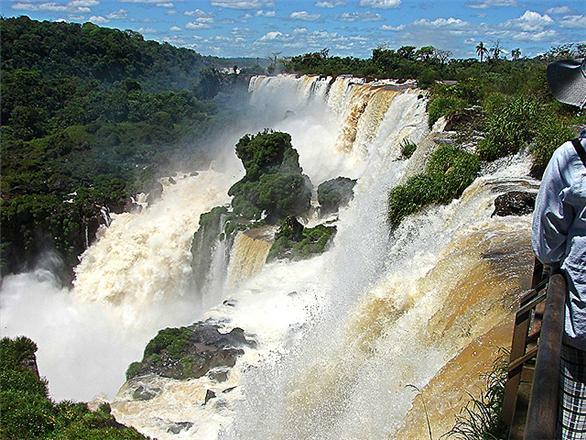 They originated 200 thousand years ago in the place that is known today as “the 3 frontiers” marked with stone pillars, where the Iguassu river and the Paraná river meet. 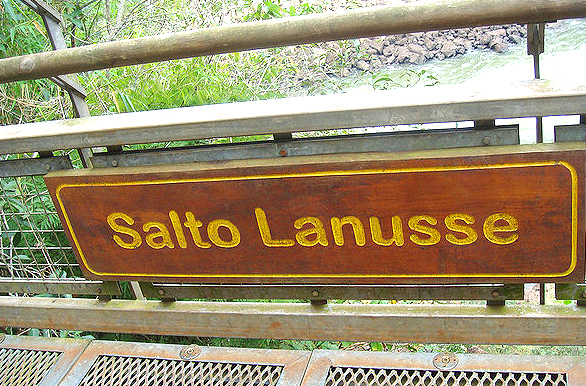 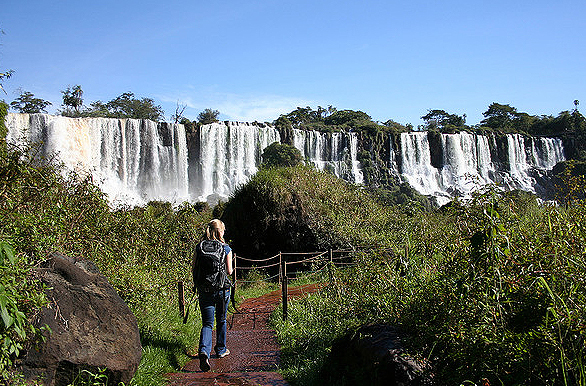 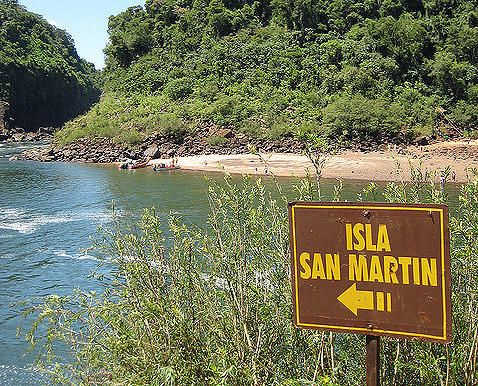 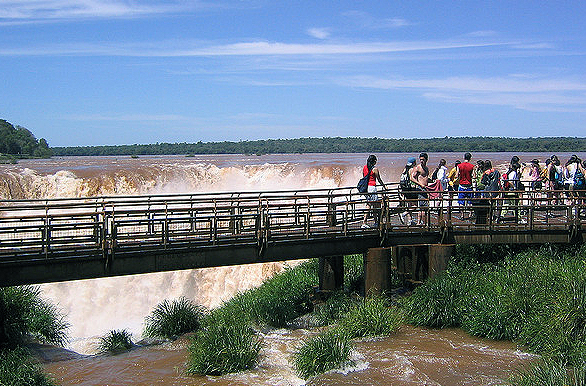 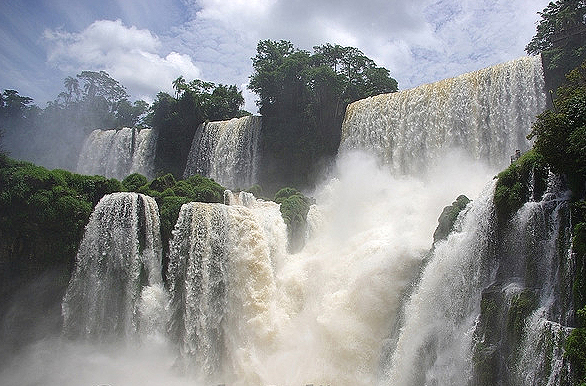 A geological fault produced on the Paraná river made the outlet of the Iguassu river become an abrupt cascade approximately 80 meters high. 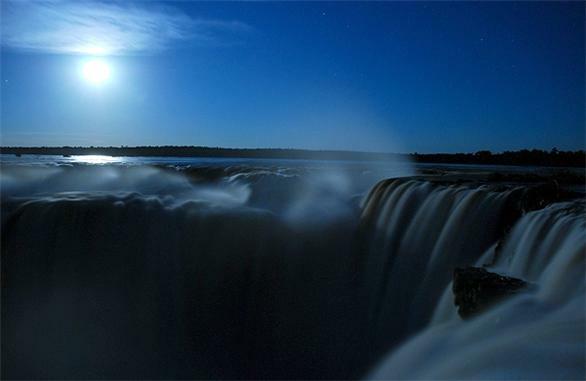 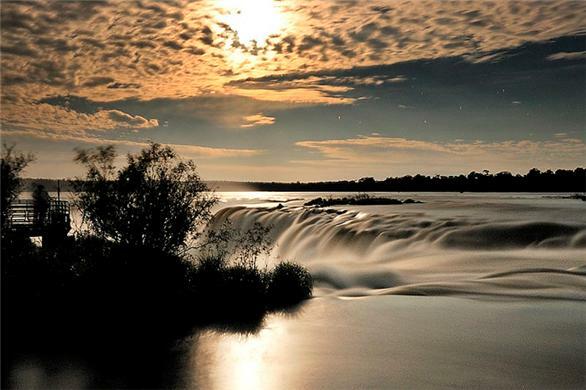 From that point, where the falls originate to where the Devil’s Throat is located today, covers 23 kilometers. 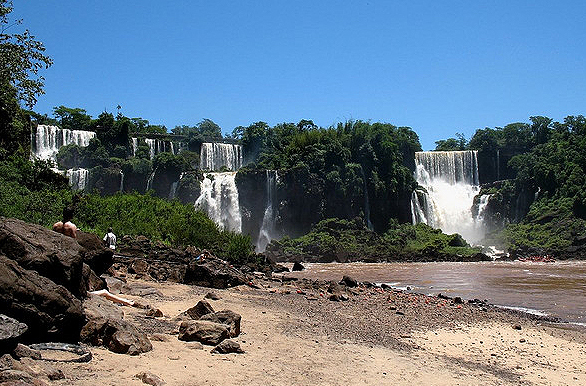 This is due to the slow process of erosion, however the steep drop which defines them as waterfalls remains. 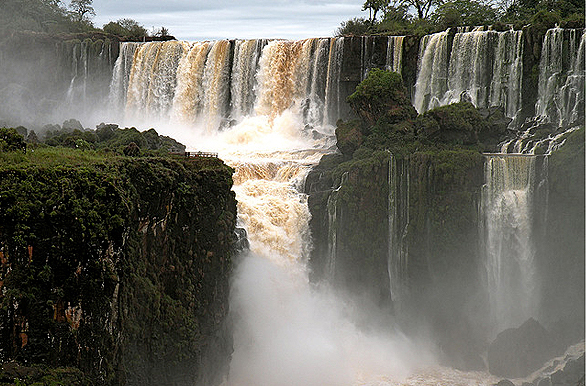 This original cascade, has become the most impressive falls of the group, The Devil’s Throat. 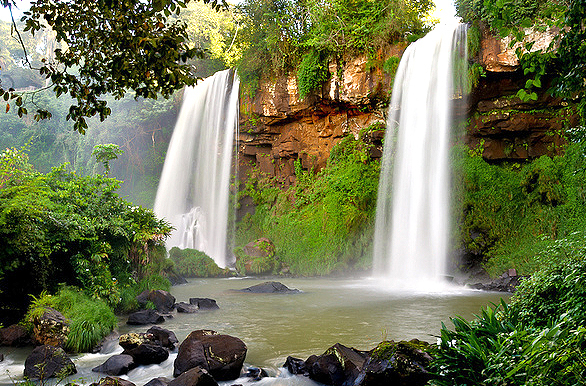 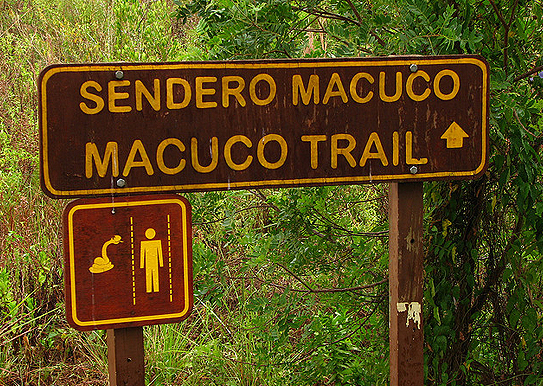 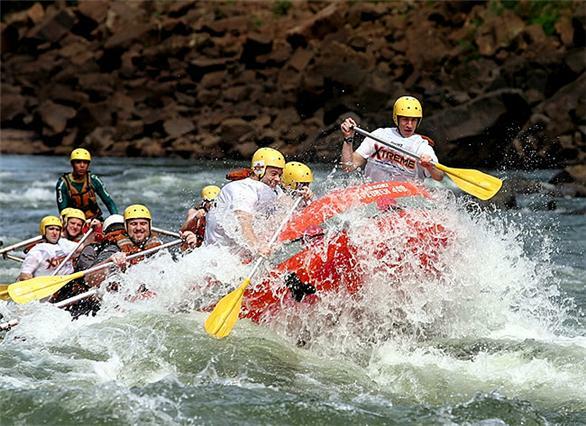 Eighty meters high, it is located on the principal river course. 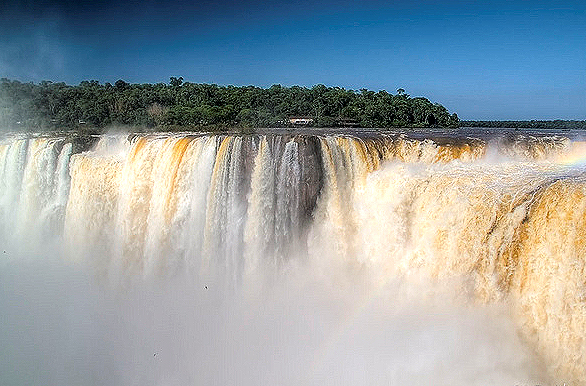 Depending on the water level, you can see anywhere between 160 a 260 falls, that on average flow at a rate of 1500 cubic meters of water per second. 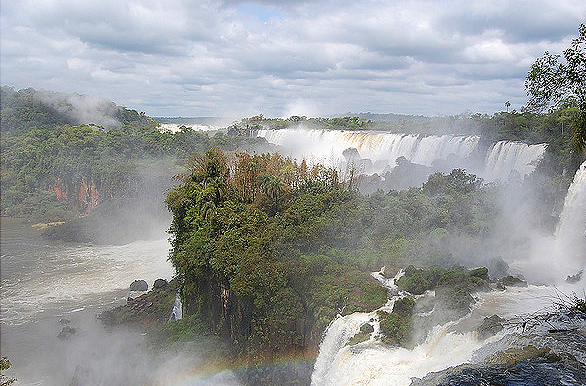 The violence of the falls produce a permanent fog, where sunbeams form multiple rainbows of incredible beauty.